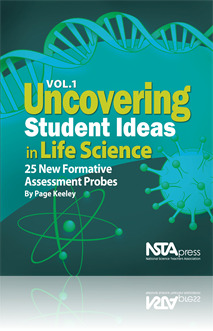 I use these formative assessments at the beginning of new units to see what students know from previous years of science instruction. Allowing the students to explain their reasoning aloud and talk through their responses helps me assess their current knowledge and misconceptions. The probes in this book are short and can easily be done in short amounts of time as a warm-up or can be expanded into writing assignments.